Chances are you have invested a lot of time and money obtaining and installing your hardwood floors, and you want to keep it looking its best. This means keeping dust, dirt and other debris off of the flooring, but you don’t have to spend a lot of time and effort cleaning if you have an electric broom. 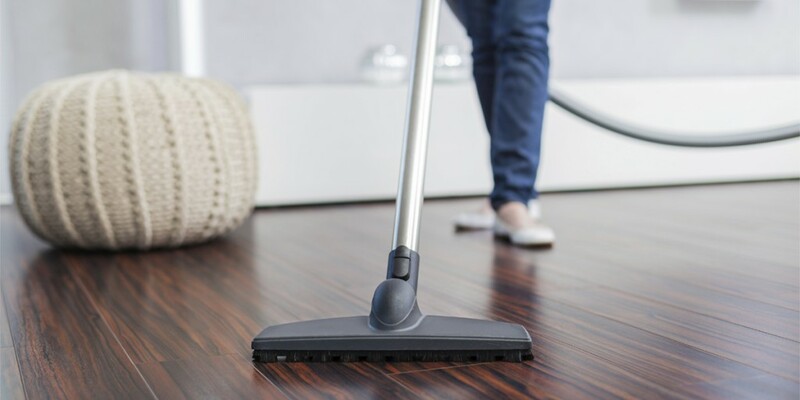 Lightweight and convenient to use, an electric broom can make cleaning a breeze but there are a few factors to consider if you want to keep your hardwood floors looking like new. While carpeting can hide dust and small dirt particles, every tiny speck can often be seen on hardwood floors. This can quickly turn into a nightmare, especially if you feel like your floors always need to be spotlessly clean. An electric broom is designed to be easier and more convenient to use on a regular basis than a traditional heavy vacuum, and if you choose a model with plenty of suction and power you can keep your floors clean without spending a lot of time. The amount of power an electric broom is capable of is measured in volts, which should be clearly listed in the product description. The more power the motor has the better it will be able to suction up dirt and debris. While your budget will help determine how much power the electric broom has, it is worth it to spend a little extra to ensure you can actually suction up the dirt and not just push it around on the floor. It is important to look at the head’s design if you want the electric broom to safely and effectively clean your hardwood floors. Wider heads are capable of picking up more dirt and debris due to its larger size so you can finish cleaning faster. You also want to choose a model that does not have any metal or hard parts exposed on the head to prevent the lightweight sweeper from damaging the floors or baseboards. One of the biggest concerns hardwood floor owners have is how to prevent the scratches and ugly marks that can occur during cleaning. Wheeled bases are convenient, but can leave scratch marks behind on the floor. Castors that are covered or constructed from tough rubber are less likely to damage the floor, even if debris gets caught underneath the wheel. Rubber bumpers around the head can prevent scrapes and black marks along baseboards, and still be effective at sweeping up dust and dirt. The easiest way to ensure that the electric broom won’t cause damage is to choose one that is specifically designed for hardwood floors. 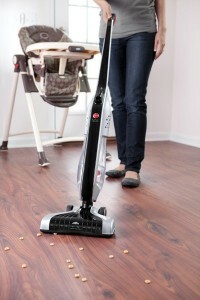 This will ensure that it has the suction and power you need to clean hardwood floors quickly and efficiently. Taking a few minutes to pick the right model can help you save time and money on flooring repair and replacement costs.